The mod adds many unique snowballs with magical properties, namely explosive snowballs (in contact with the ground explode with the power of conventional TNT), lava snowballs (at the crash site poured a bucket of lava), water snowballs (at the crash site poured a bucket of water), fire snowballs (generating fire and set fire mobs), snowballs to teleport (where you throw a snowball - there and move). To get one of snowballs - you need to enter special commands for the preparation thereof. To turn off the property at snowballs write / offall. 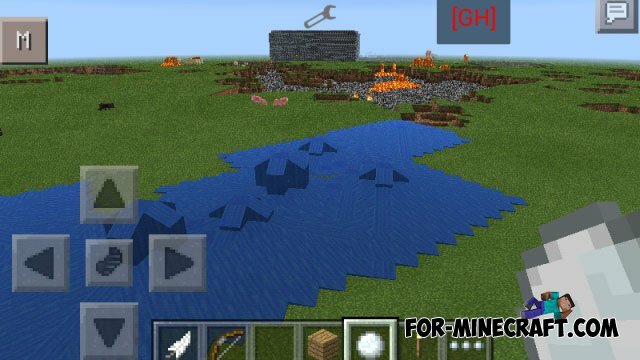 Super Tools mod for Minecraft PE 0.10.5Modification will in Game 5 of powerful items that will serve us for murder. Some of them are explosive, and every kind of explosion - is unique in MCPE. 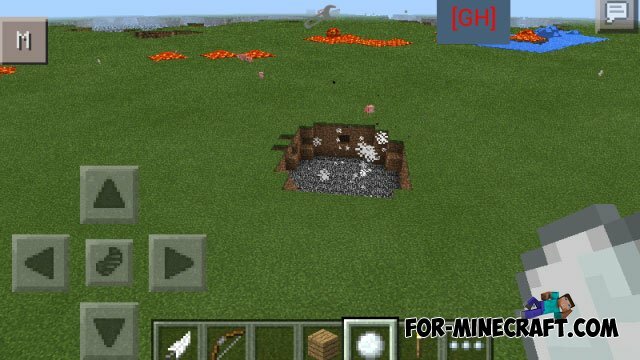 Snow Gun mod for Minecraft Pocket Edition 0.10.5This MCPE modification snow gun, which resembles a wolf bone. But thanks to this we are able to shoot snowballs indefinitely. Factorization mod 3.6 for Minecraft Pocket Edition 0.10.4Update that will add new liquid and mechanisms, as well as change the principle of operation of some old ones. Snowball Pearls mod for Minecraft PE [0.9.5]This mod performs the functions of other interesting mod - Ender Pearls.